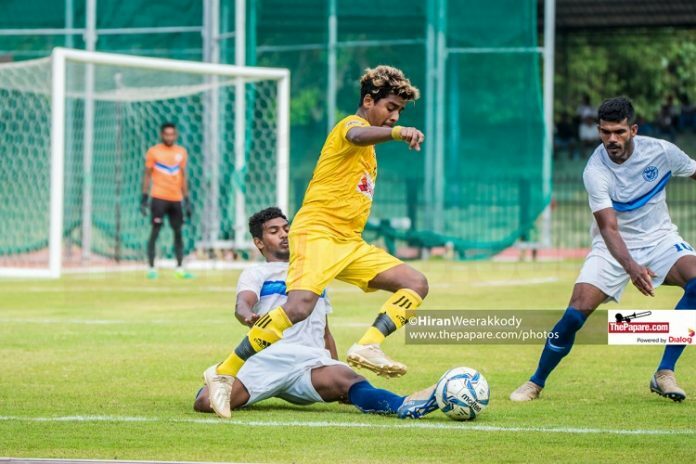 Kasun Jayasuriya capitalized on a goalkeeping mistake deep into injury time to secure a 2-1 win for 10-man Saunders SC against top of the table Navy Sea Hawks FC in week 15 of the Dialog Champions League 2018 at the Sugathadasa Stadium. 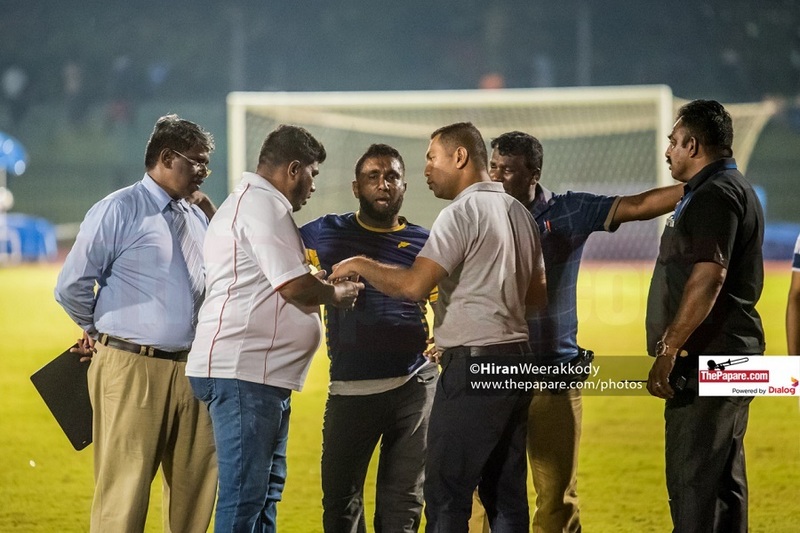 Saunders were a place above the bottom coming into the game while the Sea Hawks had the opportunity to go 5-points clear at the top before nearest rivals Colombo FC took on Renown in the late kick-off. Initially Chamod Dilshan got on the end of a Suntharaj Niresh through ball but was well tackled inside the box but it was the Sea Hawks who attacked in numbers form the wings but were unable to find any clear openings. Asanka Viraj had a scare after he spilled an easy collection but recovered in time before any Sea Hawks forward got to it. 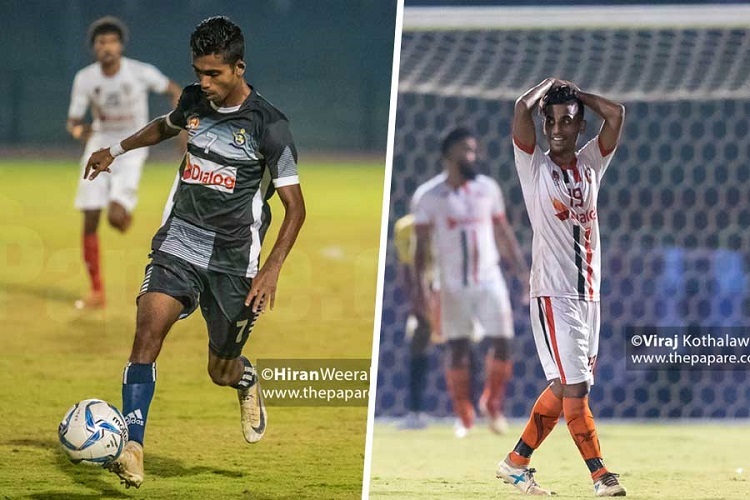 On the other end Chryshantha Abeysekara sent in a cross which was poorly cleared by Subash Madushan and Niresh nearly gave Saunders the lead only to see the volley go just past the far post. Mohamed Asmeer produced a moment of magic to beat one defender and skip past the other on the left but the icing on the cake was not to be as Asanka Viraj produced a brilliant save from an angle. Soon after Nagoor Meera found Asmeer inside the box who beat the defender and crossed it across the goal. Danushka Madushanka got on the end of it and with the goalkeeper beaten his effort had a goal written all over it but Sanjuka Priyadarshana somehow managed to get his body on the line to deny. 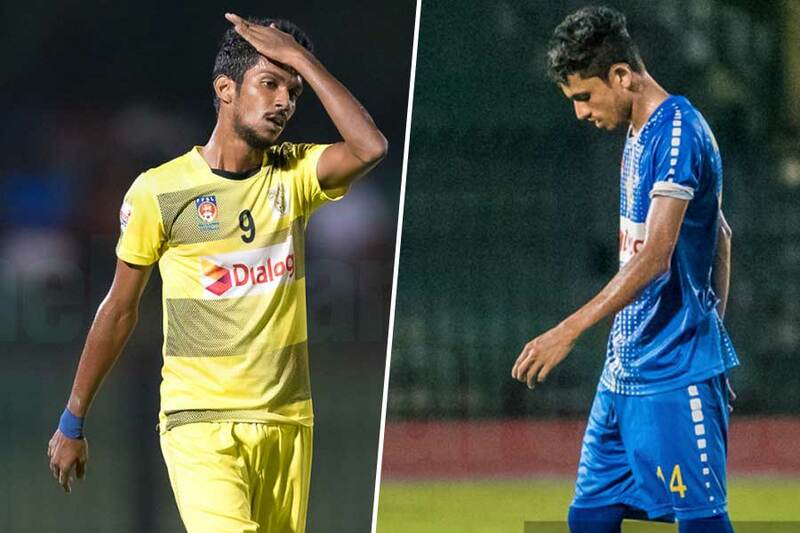 Asanka Viraj had a swerving Mohamed Shaheel effort saved at the near post before Sea Hawks’ Subash Madushan fouled Abeysekara inside the box to give away a needless penalty. From the spot, Niresh ever so casually scored past the wrong footed Sachintha Reginold. Sea Hawks hit back on the other end as Asmeer got himself some space, inside the box, with nifty foot-work and shot to the roof of the net from an angle as the defence converged. Towards the end of the 1st half, Saunders did get two free-kicks, the best of which just outside the box in front of the goal. However, Chryshantha Abeysekara’s effort was palmed away for a corner. The 2nd half started off with Saunders appealing for a handball after a corner created a scramble inside the box. Asmeer was once again in the thick of the action as he forced Asanka Viraj into another diving save from a corner. Sea Hawks resorted to a few long-range efforts while Mohamed Shaheel’s 25-yard free-kick was parried away for a corner by Viraj. The game meandered into a dull state with neither side, especially Sea Hawks in search of a winner. However, with five minutes remaining Suntharaj Niresh took his frustration out on a Sea Hawks player resulting in a red card. Even with a man advantage Sea Hawks were unable to break the stubborn Saunders defense. With seconds remaining in injury time Kasun Jayasuriya shocked Sea Hawks when he lobbed the ball over the an onrushing Reginold to take the lead and the win.